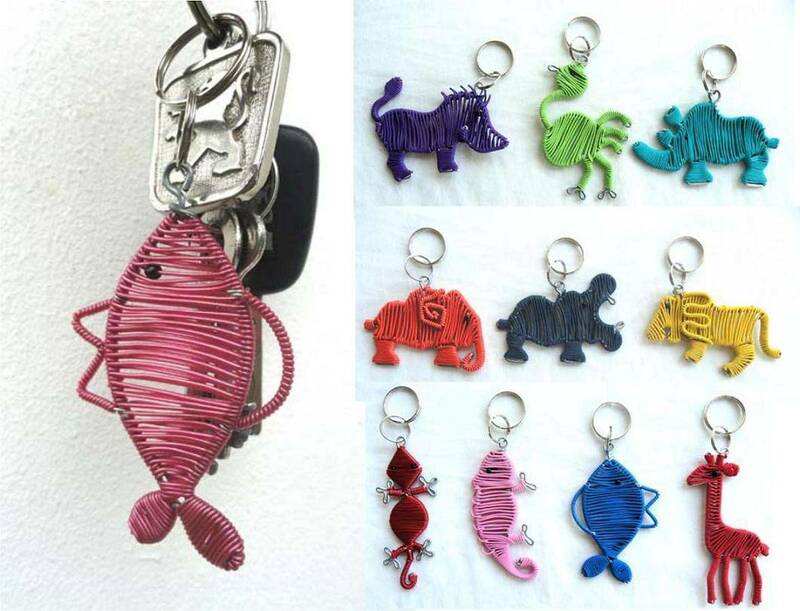 These keyrings are available in a large variety of colours. The designs options are: Warthog, Ostrich, Rhino, Ellie, Hippo, Lion, Lizzard, Chameleon, Fish and Giraffe. Unless otherwise requested you will receive a mixture of designs and colours.